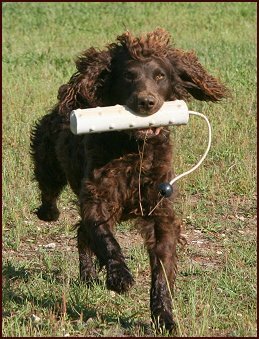 Mule has passed over 60 Finished tests! 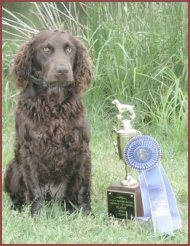 Curlee earned a ribbon in EVERY class she competed in at the BSS Nationals from 1995 until she retired in 2003. 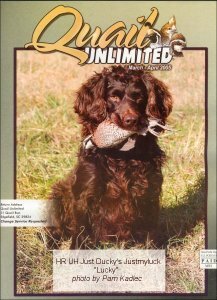 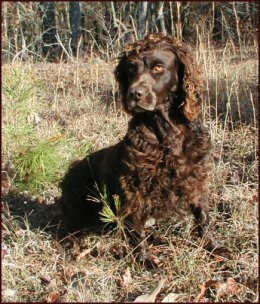 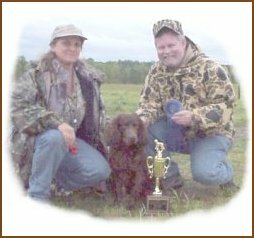 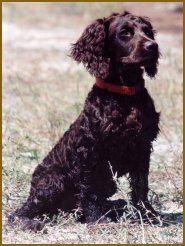 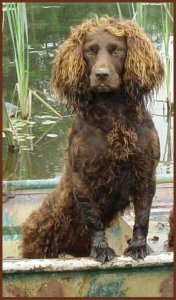 2003 - Completed back-to-back Working Dog Superior tests sanctioned by the American Water Spaniel Club. 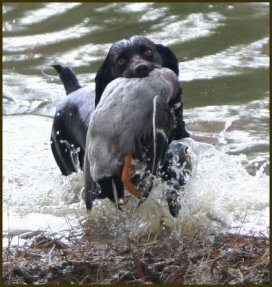 No official title given. 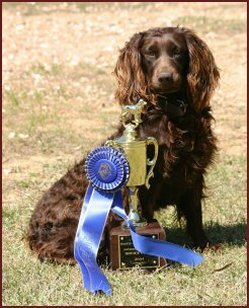 There are only a handful of AWS' who have earned this highest title offered. 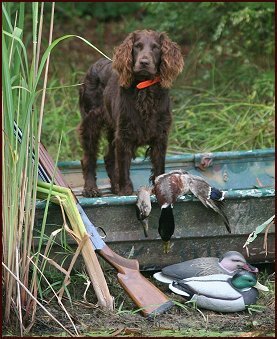 Nike is a wonderful gun dog and is now enjoying semi-retirement with Candy and Donald Linn in Missouri where she gets to hunt and then sleep in the house. 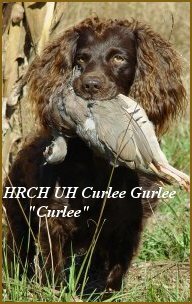 I doubt if she misses us! 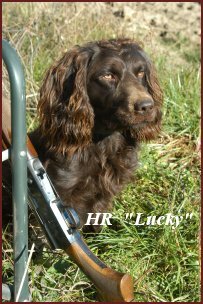 Lucky is a wonderful dove and quail hunting partner. 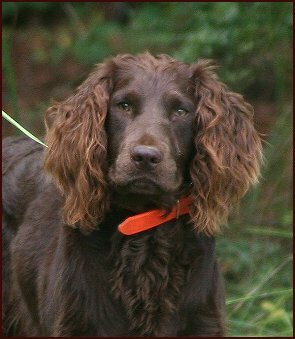 His temperament is fantastic and his puppies are showing off these same attributes. 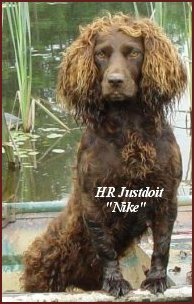 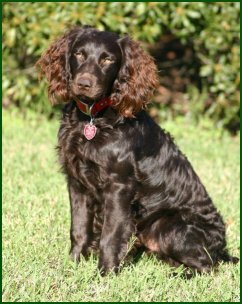 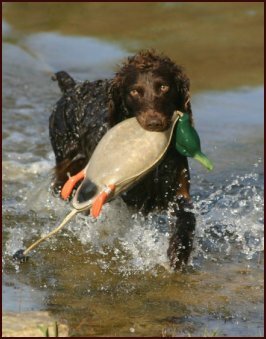 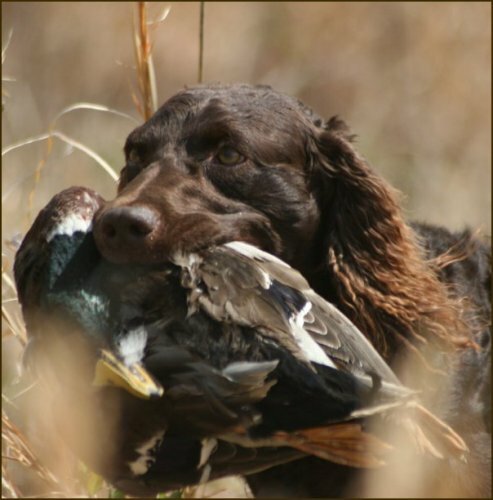 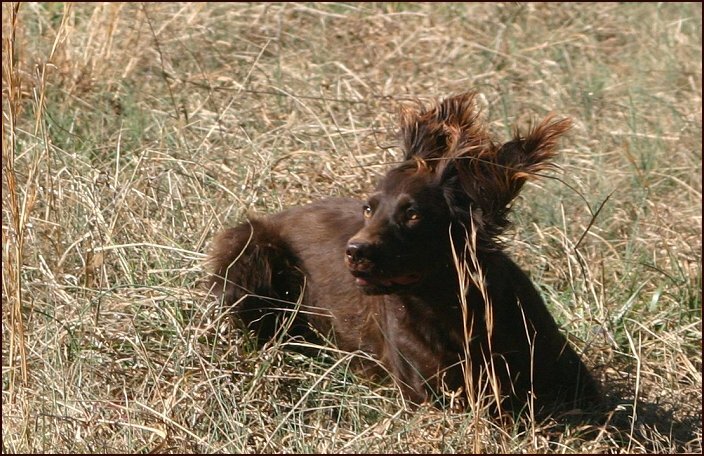 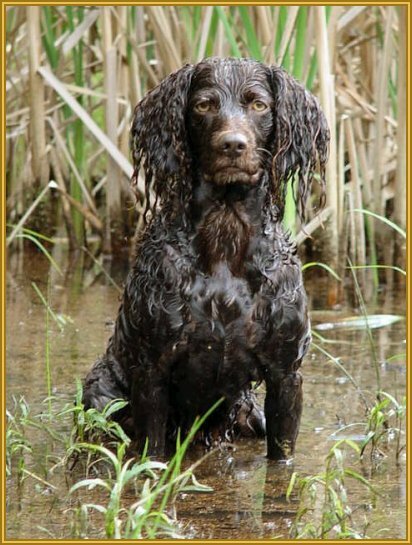 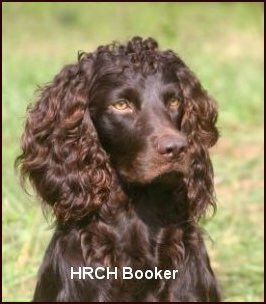 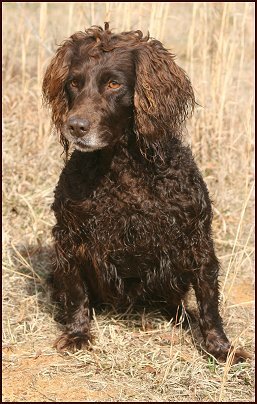 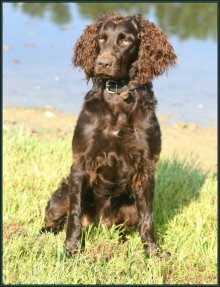 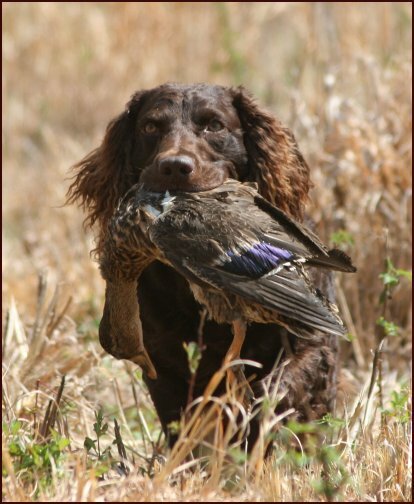 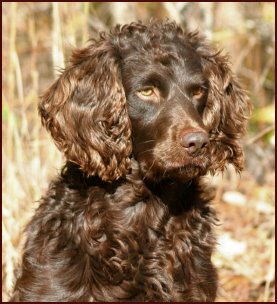 Just Ducky's Justbelieveit - "Ripley and Just Ducky's Justanibble - "Nibble"
7 out of 9 years the Boykin Spaniel Society's National Puppy Champion has come from Just Ducky Kennel; born and/or trained here. 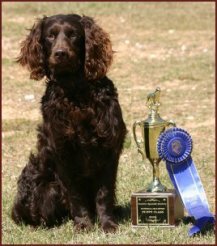 2005 BSS National Puppy Champion - Just A Home Wrecker - "Wrecker"
2003 BSS National Puppy Champion: Just Ducky's Just2cool4school - "Fonzie"
copyright 2005 - Web Designs by P.K.